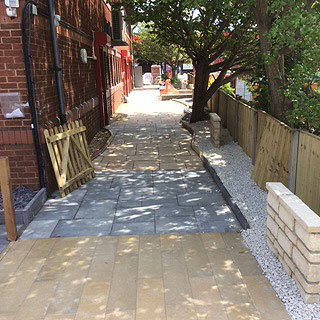 For over 20 years, Lakes has been our main supplier of landscaping and driveway products in Derby. 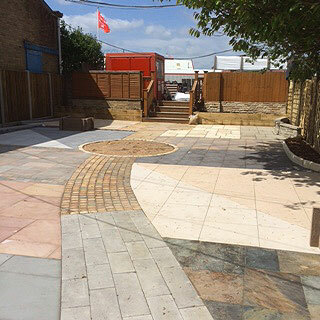 In June 2015 Robins Nest Landscapers was asked to lay a variety of paving for Lakes Buildbase of Derby to show the different paving, gravels, block paving and edgings they stock and supply. We laid 3 main areas which are a combination of Bradstone products and materials which Buildbase stock and supply themselves. 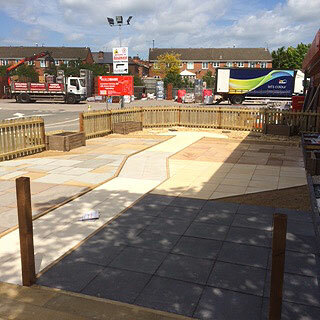 This display gives Robins nest and buildbase customers the opportunity to view some of the landscaping products available, It will also show the quality of our work. Please call in and look at our new display. Robins Nest Landscapers Derby are now a member of Bradstone Assured. Bradstone assessed the quality of our work and we are now officially recognised as an approved installer of their range of garden landscaping products.